View and search job listings, add a new listing, and apply for a job. View a list of trails and their ratings, add a new trail, or rate/comment on a trail. View all items on a to-do list and add more items. If you are logged in, you will be able to update the status of any to-do item. 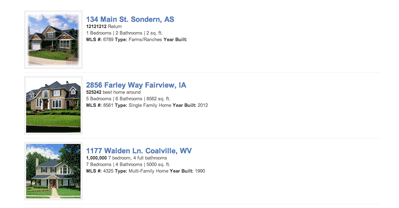 View real estate listings, add a new listing, and edit your listing if you are logged-in. View a directory of site users. 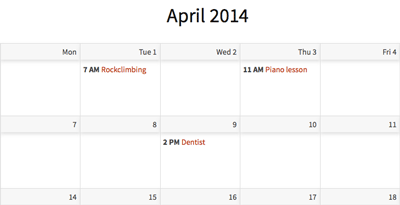 View a calendar of events and add a new event. View bugs in a list and add a new bug. If you are logged in, you will be able to edit any of the bugs. View submitted artwork and vote for your favorite if you're logged-in. See a graph of all the votes and a count of votes for each item. View job listings and add jobs to your list of favorites if you're logged in. View and manage your list of favorites. See a demo of a product order form, along with instructions to create it.